Quotes Rep.-elect Ilhan Omar as saying, "I think all white men should be put in chains as slaves because they will never submit to Islam." By Miriam Valverde on Thursday, November 15th, 2018 at 4:01 p.m. The post features Omar’s picture — the one on the cover of Time magazine in a September 2017 issue — accompanied by text that says: "I am America’s hope and the president’s nightmare" and "I think all white men should be put in chains as slaves because they will never submit to Islam." The first quote about being the "president's nightmare" is real. There’s no evidence for the explosive second part about white men in chains. Omar appeared on the The Daily Show with Trevor Noah in July 2017, then as a Minnesota state House representative. Omar filed to run for the U.S. Congress in June 2018 after Democratic U.S. Rep. Keith Ellison decided to run for the state’s attorney general office instead of seeking re-election. On Nov. 6, Omar was elected to Congress. In her Daily Show appearance, Noah told Omar she had a unique story, coming to the United States a refugee, being a Muslim, and a woman. "You are everything that President Trump seems to be against. And you are in government. What’s the plan?" Noah asked Omar. "I am America’s hope and the president’s nightmare," Omar responded. At no point in that interview did Omar say anything about white men in chains as slaves for not submitting to Islam. Omar also did not say in the Time magazine interview, even though the meme uses the photo from that interview. We found no evidence that Omar made those comments. 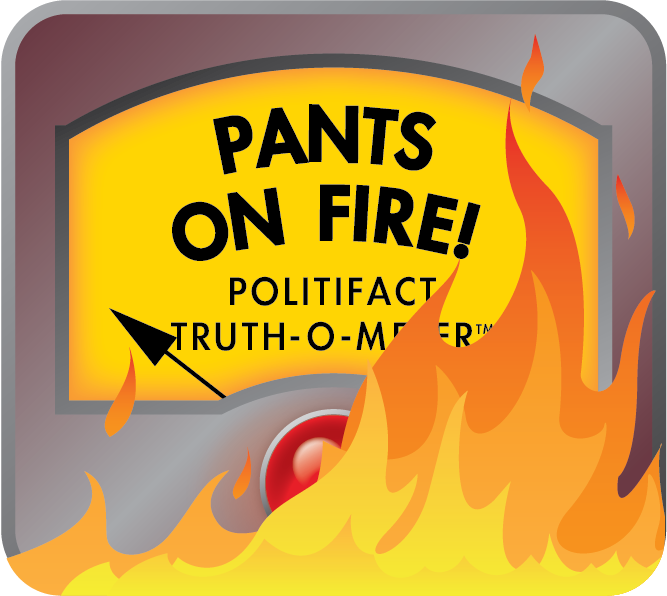 Without credible evidence for the assertion, we rate the statement Pants on Fire! Published: Thursday, November 15th, 2018 at 4:01 p.m.